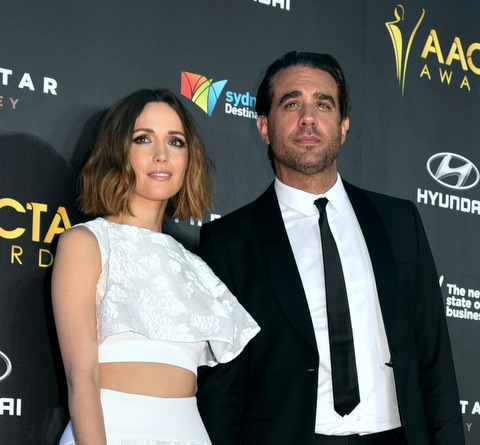 Rose Byrne is expecting her first child with her actor boyfriend Bobby Cannavale! The 36-year-old The Bridesmaid star debuted her adorable baby bump in a plaid dress at LAX airport. TRENDING: Book Claims Jay Z & Beyonce Split Over Rihanna: Explains Cause Of Elevator Fight? Rose and “Boardwalk Empire” actor Bobby have been dating for three years, after they hit it off on the set of Annie in 2012. The couple attempted to keep their relationship under the radar, but Cannavale gushed over Byrne when accepting his Emmy award for Outstanding Supporting Actor for his role as Gyp Rosetti in 2013. Bobby referred to Rose as “the love of my life” in his acceptance speech. Byrne and Cannavale are obviously gearing up for their new addition, purchasing a $2.2 million home in Brooklyn earlier this month. The acting couple have starred alongside one another several times after they started dating. They appeared together in the Melissa McCarthy comedy “Spy” and the movie “Adult Beginners”. 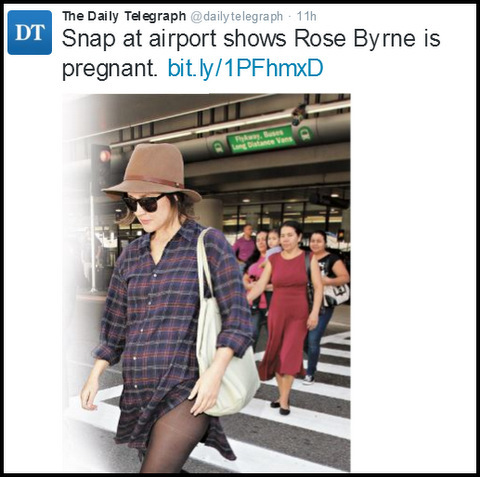 Rose Byrne previously dated Australian actor Brendan Cowell for six years before they called it quits in 2010. The Australian actress told Elle Canada last year that she isn’t much of a romantic type person, but is giving it her best shot. Many of you will remember Rose from her role in “Neighbors”, starring alongside Seth Rogen and Zac Efron. We bet her parenting skills will be much better in real life.